A favourite cracker combo topped with frozen blueberries makes a satisfying anytime snack. 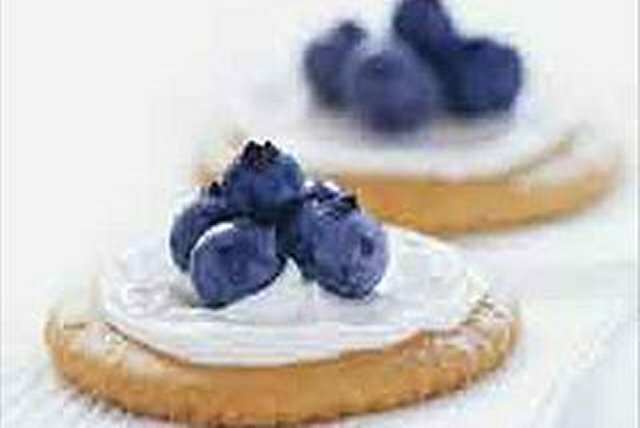 Spread cream cheese product evenly onto crackers; top each with 5 blueberries. Substitute 12 frozen raspberries for the blueberries. Top each cracker with 2 raspberries.